Disk-Image . . $38 repair or replace your REZ hard drive today. to replace your REZ system. my music and its all running smooth and quick. A Great product"
Check the model letters (REZ, REW, etc) by the AUX jack on the front of you radio. Every system is different. Click your model on the menu-bar above. 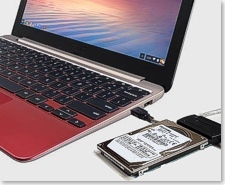 Apply the Disk-Image to a 2.5" 30GB or 40GB IDE hard drive. Compatibility: The REZ 30GB or 40GB Disk-Images are compatible with any REZ model year. These Disk-Images will fit on your existing 30GB Samsung or a 40GB IDE Toshiba, Samsung, Hitachi hard drive. Download 30 or 40GB Disk-Image. No Refunds, but you can apply the $38 to buy a REZ HDD on this page. If you pay with a Credit Card, a page will pop up with a RETURN TO MERCHANT link. Click RETURN TO MERCHANT for REZ-Part01.rar, and the Imaging Software. If your MyGig hard drive has failed or the data is corrupt, a pre-loaded MyGig REZ replacement hard drive is the easiest repair available. We are sorry that we can ship to Russia or China. The Disk-Image above can be applied to a hard drive that you provide. ALERT-1 If your system is rebooting or freezing or crashing, TEST YOUR SYSTEM before ordering a MyGig Hard Drive. ALERT-2 If NONE of you hard drive features work, CHECK YOUR SYSTEM before ordering a MyGig Hard Drive. Check your system against the 12 point list below. Music and Uconnect features depend on separate partitions on the hard drive. The problems below are almost always caused by data corruption and/or a failing hard drive. If you have Music and Uconnect problems, you probably have a failing hard drive. Also see Customer Stories for their descriptions of problems they fixed with MyGig Disk Recovery options. Hitachi and Toshiba original equipment hard drives are used for the REZ system.